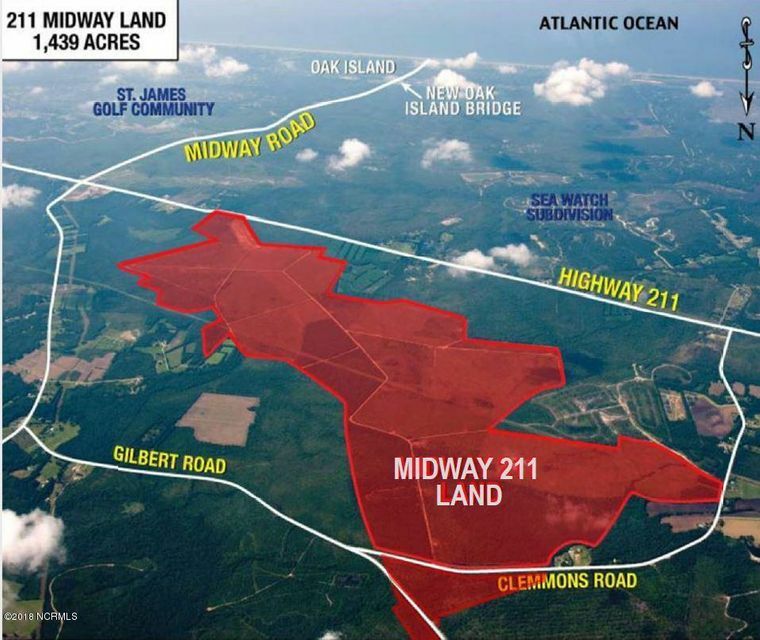 +/- 1,439 acres of land on Hwy 211 near the Midway Road intersection in Supply, NC roughly 6 and 8 miles to the beaches of Oak Island and Downtown Southport, respectively. The Subject has frontage on Hwy 211 (Southport-Supply Road), Clemmons Road and Gilbert Road.With convenient access to the area beaches and close proximity to the major commercial amenities in Wilmington, NC, the Hwy 211 corridor continues to grow with new developments as well as expanding existing ones. Within 2 miles of the Subject, a new Lowes Food anchored retail center recently opened, which is adjacent to St. James Plantation, home to over 3,500 residents and 81 holes of championship golf.NCDOT is planning several roadway improvements on Hwy 211, including widening a portion of the road.